This is a sample project / guide on setting up a Meteor app with top level routing based on the role of the user. The app based on the following concepts. Users can be ‘normal’ users, or can have an admin role. The app has top level parts (routes). App area: This is the normal usage of the app that can be used both types of users. Admin Portal area: This area should be accessible only by users with admin role. Admin Portal is availble only in Web platform. admin users that login in Cordova environment are redirected to App area. App area is only available on Cordova platform. If any user tries to access it on Web, the user is redirected to a ‘block’ page. The app can be adapted to switch various other cases, like adding more roles or removing the above restrictions. The app is based on the following atmosphere.js packages. It is based on React but it can easily be adapted to Blaze templates. A basic concept that it demonstrates is how to ‘stall’ the router initialization until the needed subscriptions are finished. This is because we need specific information fetched from database before making a routing decision. In the example below, the router initialization waits for 3 subscriptions to finish. The me subscription: It fetches our full user document with all necessary fields. The Roles.subscription: This subscription is created by the alanning:roles package. In this case is not necessary since we have the me subscription. It is put here as demo. In only the roles field is needed to make routing decision, the me subscription can be skipped. The companies subscription: This demonstrates the case were there is need for other subscriptions needed for the routing decision. Again it is put here as demo, because it is not actually used in the routing decision. Finally before the router is initialized, a check is performed in case it already has been initialized. We app is ‘partitioned’ in 3 areas. Public Area: which will contain pages accessible by unauthenticated users. In this example, it has only one route. It is the /login which renders the Login page. App area (/app): This area offers the App’s functionality for normal users. Admin area (/admin): This area is the Admin Portal of the app. It should be accessible only by users with admin role. These areas are translated in routes definitions as FlowRouter groups. The app’s entry point will be the root (/) path. So this path is not part of any group (or area). Is it used for entry point decision. It lands the user on the proper area based on the user’s authentication status and role. So the app’s entry will land user normally. But in case of web, user can directly enter the URL paths to land on. Protection is needed on pages from unauthorized access (authentication status and roles) and not-supported access (area app vs platform; remember that certain parts of the app should be available only on specific platforms). The approach here is to write guard functions that will check specific conditions and block access to the route, by redirecting to the user elsewhere. These functions will be bound to route groups by using the triggersEnter hooks of FlowRouter. One guard function per case is created and then it is ‘hooked’ into the necessary routes group. Care must be taken in the order in which the guards are applied. It is important for delivering the guarding logic (review again the requirements at the start of this document). If all the guards are executed and no redirect happens, then the route will be entered. The triggersEnter hooks are calling the guard functions with two parameters. redirect. A function that can be used to redirect the browser to a new route. Notice, that when a user is ‘kicked out’ of a route, the user is redirected to root route (/) so the proper routing decision is taken. This way the routing logic does not have to be implemented in each guard. Care must be taken though, so no ‘loops’ are created. If the user has not the admin role, is kicked out of the route. This guard is used in Admin Portal group and after the user has been evaluated for the admin role. So if the admin user is in mobile platform, then redirect to App area, in order to use the app as normal user. Note: The user is not redirected to / because the root logic will land him again in this area. This guard is used in App area. If the platform is web, the user is not allowed to use. The user is not redirected to / because the logic will land him again here. Thus the user is redirected in a ‘block’ page, to be informed that the usage is not allowed in web-platform. In our page we define a nav section which will be our menu. This is a collection of starter template HTML pages with Bootstrap 4.1.1 capabilities. Use these pages to start a new page / project. 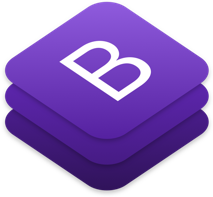 It contains the necessary references to bootstrap related files. See Bootstrap documentation for more details. This is the full package that includes the Bootstrap framework - CSS file only. Code recipes, tips-n-tricks and more for Angular’s ngx-model. 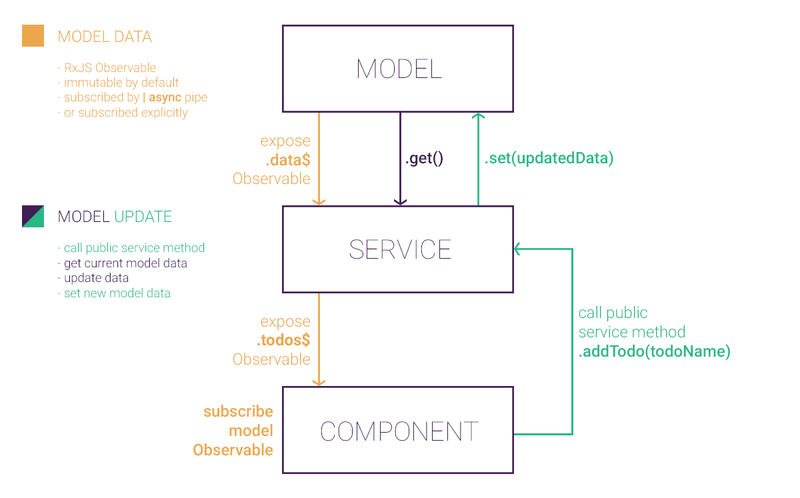 ngx-model offers simple state management, one way data flow, multiple model support and immutable data exposed as RxJS Observable. The following recipes build on the core ngx-model and add commonly needed functionality. It focuses on hosting model as immutable classes that have both properties and methods, and not simple objects/interfaces. ngx-model for single Immutable Objects: A service recipe that hosts model of a single Object. ngx-model for Array of Immutable Objects: A service recipe that hosts model of an Array of immutable Objects. Here follows a checklist / guide on how to create HTML5 code from a mockup design. Repeat the above steps progressively per ‘level’… from outer boxes to inner boxes. (See example below).